This TV Stand Is a Laminated Plywood Carrying Case With Wheels and a Foam Interior! This TV Stand Designed For 47" Flat Panel TV Makes Televisions Portable! Buy at TVStandsOnly.com For Fast Shipping! 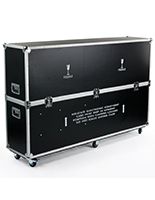 A plasma case, TV stand transport case is suitable for transporting your NEC, Vizio, or other TV to and from events. 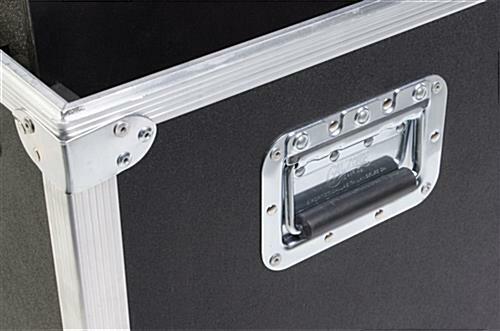 This TV stand case characteristics (4) recessed latches that safely hold the case shut. These latches are built with chrome-plated iron and assist warrant one's own screen's safety in the course of movement. 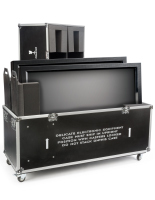 A TV stand designed for 47" flat panel TV, also known as a flat panel shipping case, is produced from 3/8 "plywood with ABS laminate to supply an exceedingly long-lasting case. ABS laminate is heat and stain tolerant for further protection. This TV stand likewise has (4) spring placed recessed handles that make movement of the shipping case not difficult. A TV stand flat panel case has an EVA foam interior to shelter one's own TV. 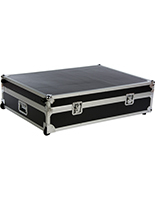 This case features additional long foam pieces that are usually cut to the dimension that will best protect one's own screen. There is lots of room in the screen case to accommodate cables and numerous different TV accessories. 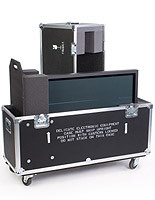 A foam block inside the screen case is movable to (3) varying positions to best support a LCD TV, at 47-3/8 ",49-2/8", and 51-1/8 "broad. This screen case, TV stand has (4) wheels that enable for not difficult carry. 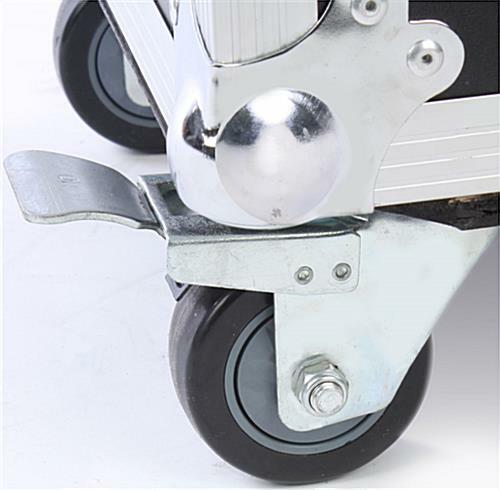 Two of the wheels tend to be lockable to limit movement in the course of carry. 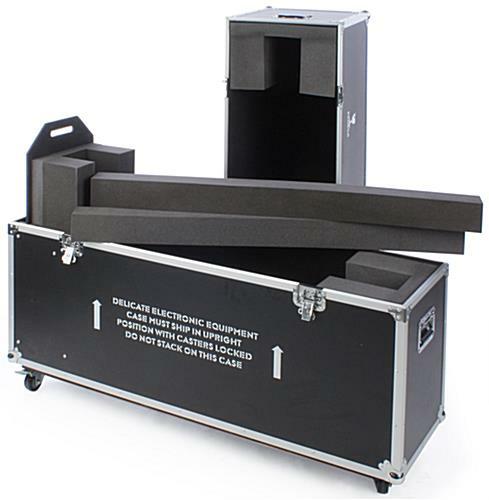 Purchase a TV stand transport case now to provide one's own monitor the protection it needs! 56.3" x 40.5" x 17.0"